So what exactly makes a fish ideal for the first time fish keeper? The number one thing you will learn about tropical fish keeping is that no two fish are alike. It is a simple truth that you cannot just put a load of different fish together and hope for the best. There is so much more to the fish keeping hobby than that! And that is, of course, a good thing because if it were that easy, it would not be so satisfying and enjoyable. However, when you are starting out it makes sense to stock your aquarium with fish that are going to be easy to look after and not too challenging. You need to be looking for hardy fish. Of course, you will be treating your fish as well as you can, but as you are a novice, it makes perfect sense to stock your aquarium with fish that can survive in less than optimal condition if things do not go to plan. 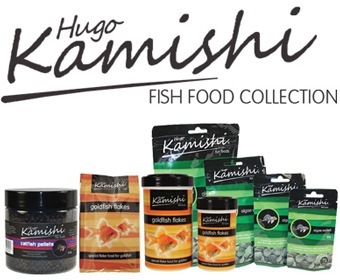 You are new to fish keeping so it would be prudent to choose fish that do not need constant care and attention. They should be peaceful and get along with other tank inhabitants. All fish have variable levels of aggressive behaviour, and while there may be some that live harmoniously with other fish, others simply won’t. Therefore it is important to select fish which will live together as a community, and not spend their time attacking and trying to eat each other! You also need to pay close attention to the size of the fish and how big they are likely to grow. This is crucial when populating your tank. There is no point owning fish which may grow to be larger than your tank!. Most of the fish in my top 10 will not grow larger than around 2 to 3 inches which make them ideal for the novice aquarium. While the following are but a tiny example of the different types of fish you can keep in your new fish tank, I’m confident that they will be ideal for novice fish keepers lacking in experience. Each of these fish answers perfectly the points raised above. Although small in size, these gorgeously coloured, freshwater fish will certainly take advantage of every bit of space in your aquarium and are one of the easiest fish to care for. They much prefer being in groups, so the larger the group, the more contented they will be, so don’t be put off keeping as many as you want! The diet of the Neo Tetra is simple, and they can be fed rudimentary fish flakes. They do also like the occasional blood worm or brine shrimp as a treat! Another great fish for the beginner is the Danio as they are incredibly resilient and will survive and indeed thrive in a wide diversity of water conditions. Danios are generally very active and great fun to observe. Regarding their nutrition, Danios will be more than content with simple fish flakes.A favourite type of Danio for the novice fish keeper is the Zebra (or convict) and the Giant. 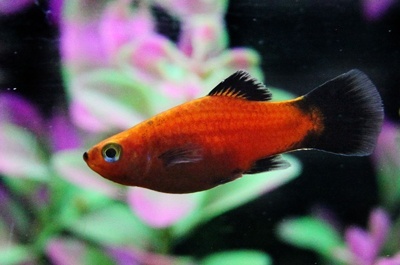 For a communal tank of various fish species, the Platy is perfect They are a very peaceful, non-confrontational fish which will live harmoniously with any other non-aggressive fish. There are lots of varieties to choose from, and they come in a plethora of colours. Platies are not fussy when it comes to food. They will consume any type of flakes, as well as most frozen live foods. 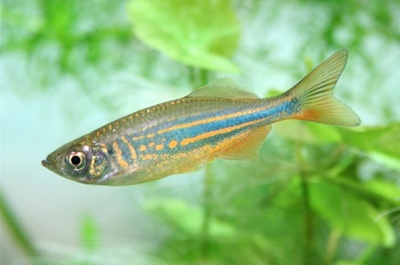 A colourful fish, perfect for novices is the Guppy. The actions and characteristics of the Guppy are similar whatever the fish, but they do come in a wide assortment of colours. The Guppy is another hardy fish, content to eat run of the mill fish flakes. Yet, like a lot of the fish on this list, they can also consume frozen or live blood worms, brine shrimp, and/or Daphnia. If you were wondering just how robust the Guppy is the fact they can go over a week without food should tell you all you need to know about the tough little survivor! The Guppy is a keen and prolific breeder, so it is important to know the difference between the sexes. 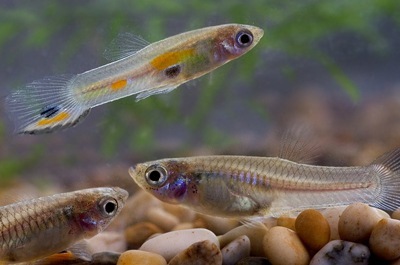 If you were to place male and females together in your tank, then you should expect a lot of Guppy offspring! To prevent this, just keep males or females exclusively. A bottom feeder for the novice! 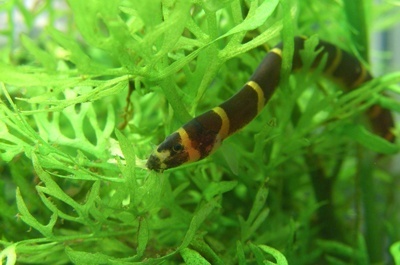 The Kuhli Loach originates from Southeast Asia so is from tropical waters. It is an eel-like fish which, because of its size, the capacity to acclimatise easily to changes of water and its peaceful nature means it makes it onto my list. Being a bottom feeder, the Kuhli Loach will consume any extra food that has dropped to the base of the aquarium, including live foods such as worms and shrimp. However, the primary source of nutrition should come from pellets. The Kuhli Loach is another non-aggressive fish and will happily coexist with most other peaceful aquarium inhabitants. However, make certain you do not place them in a tank with anything too large which may confuse them with food! To keep them content it is better to keep at least three together. They may take a little longer to adjust to new surroundings than other fish on the list, but The Cherry Barb is another variety that ticks all the boxes for the novice fish keeper. They can stand substantial changes in water parameters, they are sociable, grow to around 2 inches in length and are another fish that is very easy to look after. They are a firm favourite with the fish keeping community mainly because of their bright, striking colours, and entertainment value! They are a vigorous fish, and once they become familiar with their new environs, they will be very active and fun to observe. To ensure your Cherry Barb feel as stable and as safe as possible, it is recommended they you keep them in a tank with plants, which allows them to hide if they want to. They can take a short time to become confident. It is also best to keep them in schools, so any number above 6 is optimal. 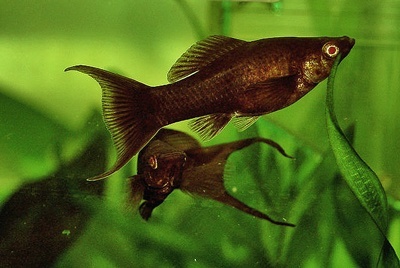 Concerning dietary requirements, The Cherry Barb will consume virtually any type of fish food, though they may not seem to like it initially if it’s a new tank. Just allow them a couple of weeks by which time they will be eating contentedly. So called because of the red coloration of its scales when it breeds, the Fire Mouth Cichlid is another perfect fish for the novice. It has to be said they can become somewhat territorial during the breeding season, but on the whole relatively friendly and peaceful. It is widely suggested that you keep these fish on their own, however, if you do want to mix them with other types of fish, be certain you offer rocks or other places to hide and lay their eggs in peace. 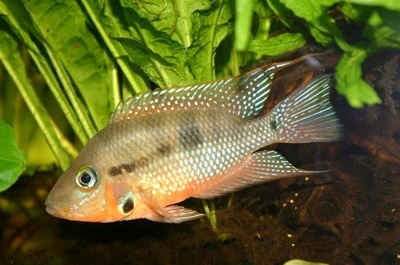 Adult Cichlids can grow to around 6 inches in length, and nutrition can be regular flakes. They are very popular so you can find them at most aquatic stores, and they are usually cheap to buy! Another peaceful freshwater fish (despite its name!). They hail from The Amazon River in Brazil, and since they devote most of their time to swimming around the bottom of the aquarium, they do well with sinking food such as pellets. They also flourish on brine shrimp and blood worms. Keeping Plecos satisfied will prevent them from eating your tanks live plants, if you have them, which they can tend to sometimes. Tiger Plecos can be very defensive, so if you are planning on having more than one in your tank, you should add rocks and some ornaments so they can find a place to call home! They may grow up to 5 inches long and have a lifespan of up to 8 years under ideal conditions. 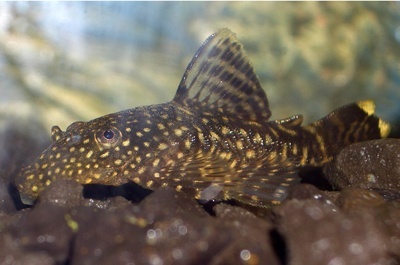 The closely related Bristlenose Pleco is an excellent alternative. 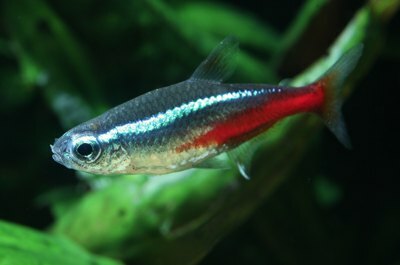 Mollies are adaptable fish which can live in both freshwater and saltwater aquariums if the alterations are made progressively. They are perfect for novices because they are very robust, and are not as aggressive as other tropical fish. There are so many to choose from, and the term ‘mollies’ is quite ambiguous as there are so many deviations in size, colour and the best water environments. 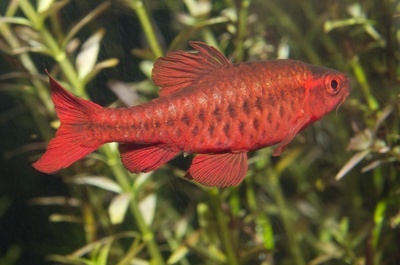 Because of the enormous difference between each type of molly fish, selecting the correct water conditions can be hard. Nevertheless, they all favour warm water, so a temperature between 25 and 28 degrees should be perfect. In their natural environment, mollies prefer a plant-based diet, mainly consisting of algae. They have evolved from having a mostly carnivorous diet toward plant-based foods. As a result, their digestive systems digest algae better than most other tropical fish. The best food for aquarium mollies would be algae, vegetarian flakes, the occasional bloodworm or a weekly brine shrimp treat. 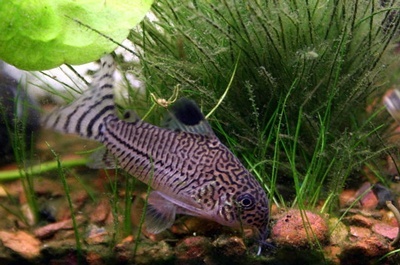 The Cory Catfish is yet another peaceful fish that will live amicably with most other fish. They are very keen and eat voraciously, so these freshwater fish will help keep your aquarium clean and clear by eating up any algae that build up at the bottom. They can live up to 20 years, and they thrive when kept in groups of at 3 or more. In their natural environment, they will feed on insects, larvae and any vegetative matter that sinks. You can reproduce this in your aquarium by offering them a variety of vegetable flakes, insect larvae, and bloodworms. I do hope you have found this simple guide useful and wish you every success with your new, exciting hobby!